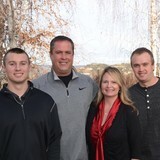 Family owned and operated plumbing service company serving the sacramento valley and surrounding areas since 1997. 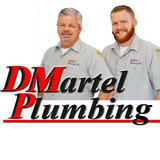 D. Martel Plumbing is a family owned and operated company that has been loyally serving our area since 1991. We started out managing new home construction in El Dorado and Placer Counties, so we know plumbing from the ground up. For over 25 years now, we have been the area’s leading experts in all things plumbing, from repairs and service to replacements and installation and much much more. We are knowledgeable in all aspects of plumbing: Water Heaters, Tankless Water Heaters, Leaking Pipes, Garbage Disposals, Gas Lines, Repair & Replacement of Plumbing Fixtures, Re-Modeling, Irrigation, Clogged Pipes, Rocket Rooter Service, Hydro-Jetting, sewer camera inspections and pipe locating…no job too big or too small! Our goal is to provide quality plumbing services for all types of repairs and plumbing remodels. We take pride in our craftsmanship and making sure the project is completed with our costumers 100% satisfied. 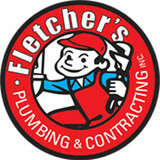 Fletcher's Plumbing and Contracting Inc. Whether you have a leaky sink or a completely new sewer line replaced under your home or business, we have the plumbing experience and technology to get the job done right. With over 14 trucks and technicians ready to serve, we are Northern California’s preferred plumber. Replacement, and upgrade of residential & commercial water heaters, tankless and specialty water heaters. Brands: Bradford White & Ruud (Quality Grade Water Heaters Not Found in Retail Stores. Water Heaters Only, Inc Sacramento is a full service water heater repair and replacement company offering low prices, same day service and quality products. Phones are answered 24/7/365 and we do not charge extra for evening or weekend service. Plumbers in Sacramento at Boyd Plumbing have been trusted for over 10 years. 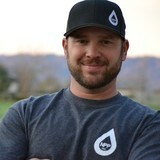 Boyd Plumbing in Sacramento has built a solid reputation and has many satisfied customers in Sacramento and surrounding areas. We handle plumbing repair, drain cleaning, sewer repair, trenchless pipe replacement, hydro-jetting, water filtration systems, water heaters, tankless water heaters and so much more. Our technicians are background checked and highly trained for your security and protection. Please call Boyd Plumbing today to schedule service from one of our experienced plumbers in Sacramento. If you’re in the market for a HVAC contractor, air quality specialist or a plumber in the greater Sacramento Region, it’s hard to exceed the level of quality and impeccable customer service you’ll receive from Park Mechanical, Inc., Heating, Air Conditioning and Plumbing. In addition, we offer duct diagnostics and solar solutions, for improved energy efficiency and comfort. Serving the Sacramento Region since 1911 Park Mechanical, Inc., Sacramento’s leader for quality HVAC and indoor air quality sales, service and installation, was born when two long-standing area family-owned businesses merged in 1978. D.H McAlpine Plumbing and Heating was founded in 1911 by Dougal H. McAlpine who, working out of his East Sacramento garage, earned the respect of his clients by providing reliable and knowledgeable services for their heating and plumbing systems. Park Sheet Metal Works was founded in 1920 by John Ryan and began operations on Sacramento Boulevard (now Martin Luther King Boulevard) in Oak Park. A+ Rating with the better business bureau In this line of work, where people invite you into their homes to meet their families, reputation is everything. If you provide people with exemplary customer service, they are likely to say good things about you and recommend you to their friends and co-workers. We run our company on this philosophy, and we don’t take our A+ rating with BBB lightly. Our Team Park Mechanical service technicians are NATE certified. NATE, North American Technician Excellence, Inc., is an independent, third-party certification body for HVAC/R technicians. NATE tests technicians while other certification programs train technicians. Testing validates the technician’s knowledge and a training program’s instruction. With only a 66-68% pass rate, it isn’t easy to become NATE certified. Our professional staff is carefully chosen for attitude and aptitude in sales, service, and installation. Hall's Plumbing is dedicated to providing quality service. We are here to help you with all of your plumbing needs ranging from water heaters to sewer line repairs. Call us today for an appointment! Buy Thalix 100 mg (Thalidomide capsules) is indicated for acute treatment of the cutaneous manifestations of moderate to severe Erythema Nodosum Laprosum (ENL) and for the treatment of multiple myeloma. Plumbers specializing in sewer and drain cleaning and repairs, water heater repair and installation, gas and water line installation for Roseville, CA, and areas nearby including Rocklin, Granite Bay, Loomis, Folsom, Citrus Heights, Carmichael, Antelope, Penryn, Elk Grove, El Dorado Hills, Rancho Cordova, Auburn, New Castle and Sacramento. Plumbing services provided for both residential and commercial customers. AccuFlow Plumbing, Inc is a full service plumbing company, from sewer lines, drain cleaning, water heater installs, water filtration, and leak detection, our technicians get the job done right. Get upfront pricing and a full description of the service before starting work to avoid any surprises down the line. Our business is based on quality and service. We know that it is not only important to finish a job on time, but to continue to serve the customer long after the project is completed. Plumbing remodeling and new install I know the best out of any of my specialties, and the work that I do is always about the job and the outcome of the final product. Plumbing Contractor & General Contractor. Repairs to repipes. Remodels and additions to roofing, framing, structural, electrical, HVAC. Primarily work on older homes in midtown, E Sac, Land Park, Tahoe Park, River Park. Keeping it local. A plumbing contractor handles the installation and repair of water, sewage and natural gas pipes throughout a home, as well as interior and exterior faucets and fixtures. Plumbing contractors are also trained to work with water mains, septic tanks, laundry appliances, water heaters, sump pumps and other plumbing and pipe systems. Because plumbing repair work is done largely behind walls and beneath floors, some plumbing companies can also patch or replace tile, stonework and other surfaces. Although some Pilot Hill plumbers are generalists, others specialize in specific areas; a 24 hour emergency plumber will handle urgent residential repairs, while others may be more skilled in remodeling, natural gas lines, overhead sprinkler systems and more. Find a local Pilot Hill plumber on Houzz. 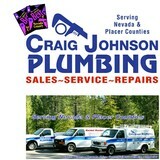 Narrow your search in the Professionals section of the website to plumbing contractors in Pilot Hill, CA. You may also look through photos of Pilot Hill, CA projects to find a licensed plumber who has worked on a project similar to yours. Here are some related professionals and vendors to complement the work of plumbers: General Contractors, Septic Tanks & Systems, Kitchen & Bath Designers, Kitchen & Bath Remodelers.